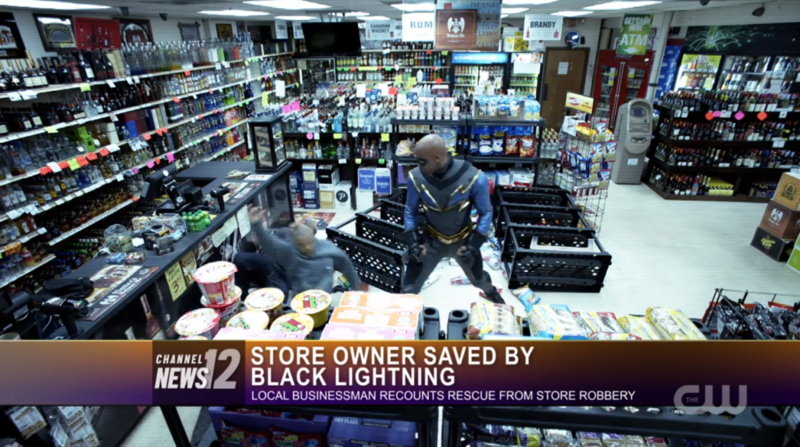 Last week The CW was finally struck by Black Lightning! It’s currently airing in Legends Of Tomorrow’s former slot while they & Supergirl will share. I would’ve reviewed it more punctually last week if I didn’t have that The Gifted finale piece in the works. Thankfully it’s much more electrifying than Syfy’s Krypton trailer that doesn’t even have the basic decency to dress Adam Strange like Buck Rogers. (Krypton’s Adam Strange < MCU’s Stephen Strange < Gotham’s Hugo Strange) In the unlikely event that you’ve not watched it yet, be forewarned I’m going to thoroughly discuss the pilot with speculation. Black Jupiter would’ve made more sense than Black Vulcan. I don’t have direct experience with inner city schools, but this stage was set with verisimilitude. (I do know that the logistics of merging Riverdale’s two schools literally overnight make inverse sense. Riverdale has a similarly tenuous connection to reality as Gotham but doesn’t get fun supervillains, although Cheryl Blossom is basically its Stabby Babs.) Jefferson Pierce may be the world’s best high school principal, a profession to which fiction has been historically unkind. 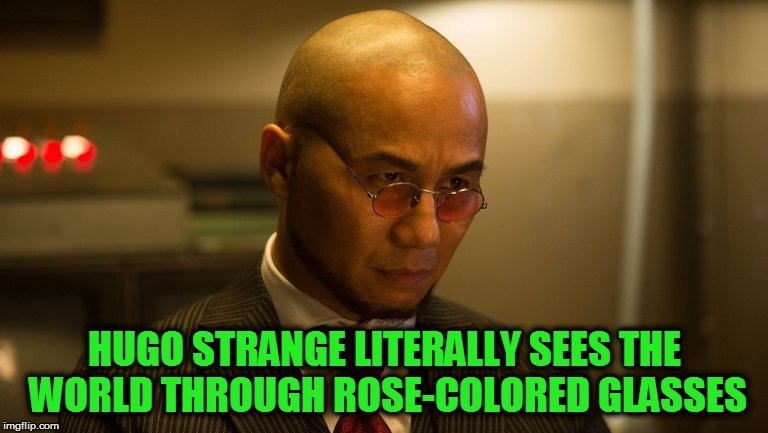 He may be stern, but Cress Williams portrays him as much more likable than the average authoritarian. As much as it pains him, he has some kind of truce with The 100 (Freeland’s local gang, not his fellow CW series) to keep gangster business out of his school. He doesn’t want metal detectors installed to keep his students from feeling like they’re in prison. He also punches people with electricity! The premiere episode starts off very heavy. It’s got “Strange Fruit,” gang murders, a riotous protest, Joseph Randolph(? ), Martin Luther King, Fannie Lou Hamer, & racial profiling. It seems like almost too much at first, but it does effectively set the stage for the worst twenty-four hours in Pierce’s life since he quit being a superhero nine years ago. Although it deals with serious topics, it’s not too dour. The story takes place well after Pierce’s love interest knows he’s Black Lightning, so the significant other gaslighting is practically nil. Christine Adams of Pushing Daisies & Agents of SHIELD does an American disguise voice as his ex-wife, Lynn. She divorced him because she viewed his heroism as an addiction that was harming their family. 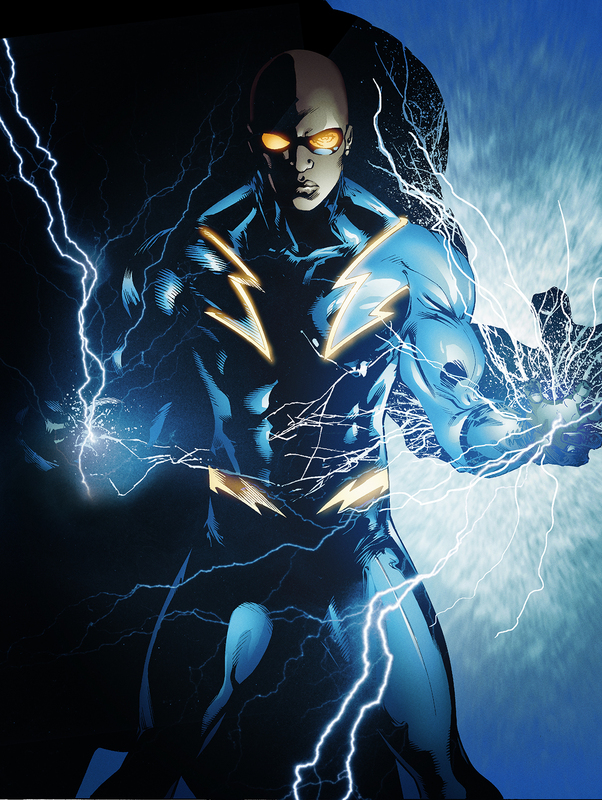 Since the series is about Black Lightning coming out of retirement, her viewpoint probably won’t get much validation. (It’d be pretty depressing if the season finale ends with him deciding getting back into heroism was a mistake.) She does tell him to rescue their daughters (who remain in the dark about his dual life) by any means necessary. Black exceptionalism is a big theme. Jefferson has an adult variation of the Spider-Man conundrum where he struggles to balance his social responsibility & power. Anissa Pierce (Nafessa Jefferson) lives up to her parents’ example but is even more of an activist (to her harried dad’s chagrin). Jennifer Pierce (China Anne McClain) is the rebellious daughter chafing under great expectations. Despite their differences, they still share a believable sibling bond. Even crimester Latavius, who bizarrely thinks La La is a more respectable name, instills into his youngling underling that he has to work twice as hard to be as successful as the white crimester competition. The Red Queen Principle is real! 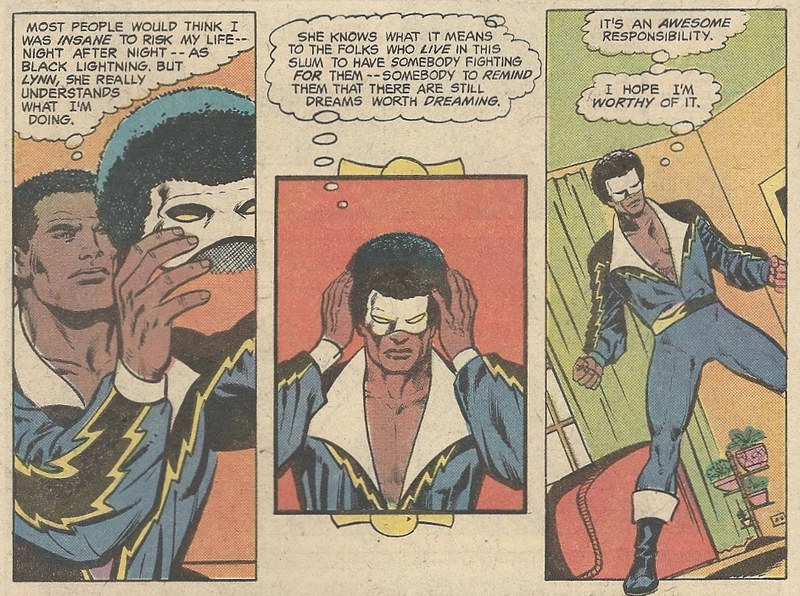 Tailor Peter Gambi incessantly fanboying over Black Lightning to get him to suit up again was endearing. I like James Remar in everything except Mortal Kombat: Annihilation, but I guess an ex-Raiden is an appropriate lightning connection. (There can be only one whitewashed Raiden!) The new suit he makes for Pierce is more armored than its streamlined predecessor (that looked very comics accurate) but not too clunky that he can’t smash crimesters in it. 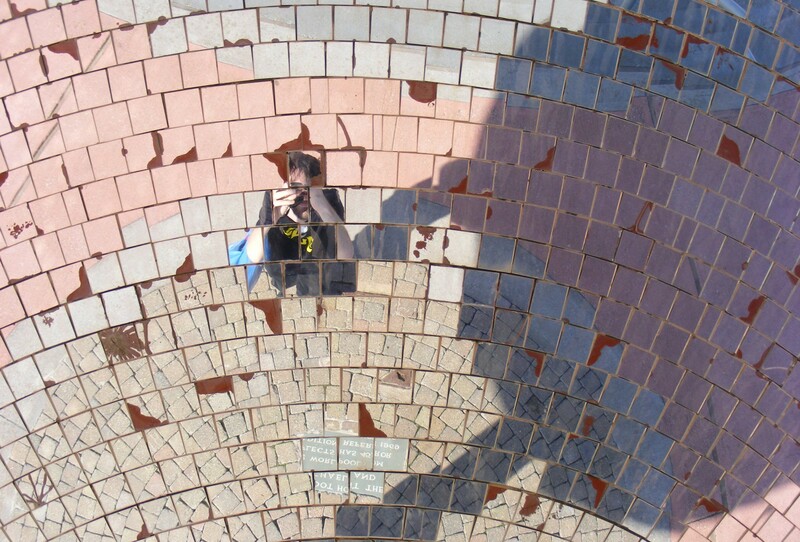 It’s got texture & light-up bits, so it works for me. Neither supersuit includes his patented disguise Afro. 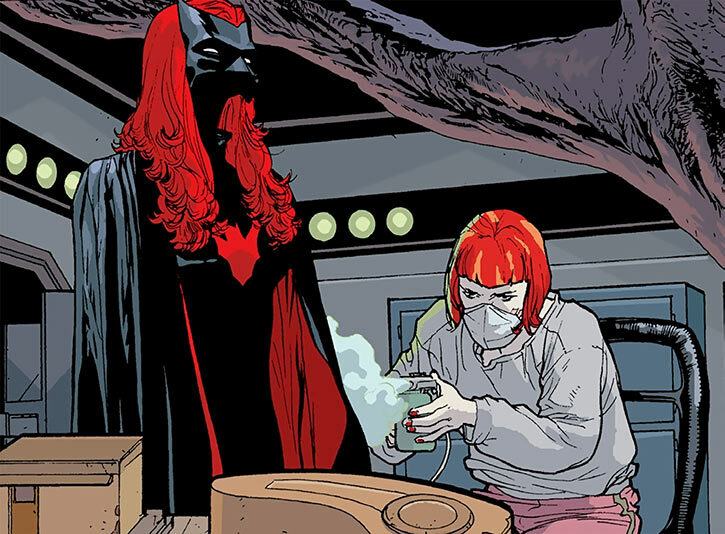 (Is Batwoman the only character with a wig-mask now?) Gambi will also be making Thunder’s costume. 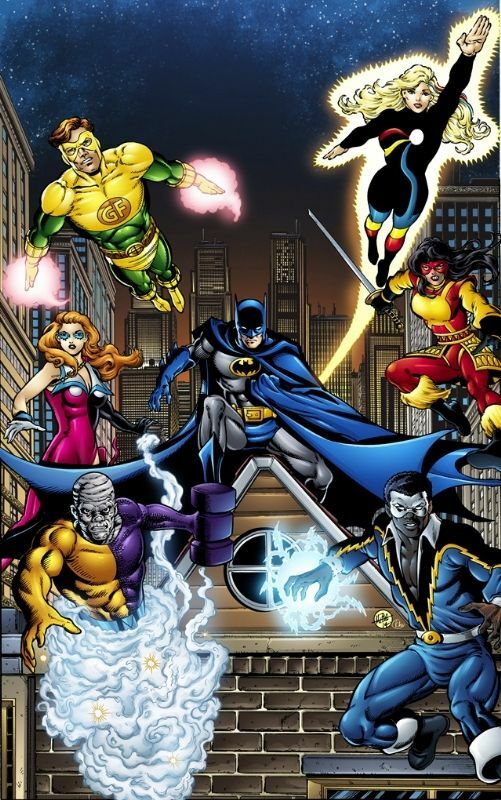 The news mentioned other superpowered beings, so I wonder who will pop up. Anissa’s girlfriend, Grace Choi, has been cast, although I doubt the actress will pack on the requisite muscle mass. I’m guessing we could see the rest of the classic Outsiders provided they’re neither Batman nor Katana. It’s not set on Earth-1, since the timeline doesn’t line up to the STAR Labs particle accelerator & the pundit didn’t note that Green Arrow gets called out for vigilantism. Black Lightning was set in Metropolis’s Suicide Slum (much like Crime Alley, this isn’t its official map designation) in the source material, so this could be Earth-38. Just don’t expect anyone from Supergirl (or any other CW series) to appear in season one, which is perfectly fine if the quality remains this high. So Black Lightning strikes indeed! (This is a positive event in bowling but not for baseball, so I mean that in the bowling sense. Why aren’t these terms consistent? That’s enough sports talk for one year!) Mara Brock Akil & Salim Akil made one of the best debut episodes I’ve seen. I’m shocked how deftly it juggled everything. 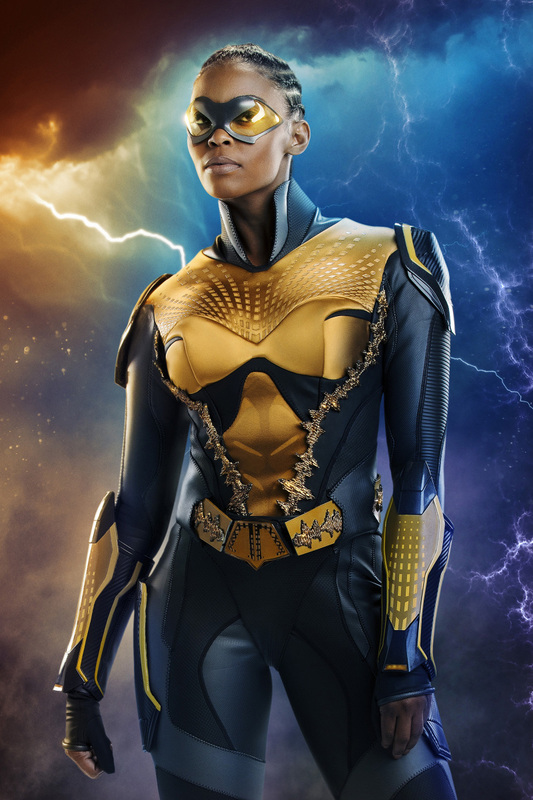 Hopefully Black Lightning will buck the odds & strike in the same time slot for the next twelve installments. Next week: I shall endeavor to combine custom action figures with paranoia.